This is old version Piano Tiles 2 (Don’t Tap…2) 2.0.0.121 apk for Android, you can install it if you want to downgrade or install old app. It is top Arcade apps from Clean Master Games. It is also possible if you want to challenge yourself with the other through the global competition mode. The better skill you have, the greater rank you will have. If you feel that your result is too big to be wasted, you can share it online and get a rank. For the people that are looking or the quality and entertainment through its music, the game is also having better quality of sound. Some new sounds are also added to improve the experience and the skill of the player. Presence of various game goals can also help you to play enjoyable. The player should reach the gameplay up to the end of the song. Collect some coins will also give the opportunities to open some new songs. If you get the sapphires, they will also fasten that new songs open. 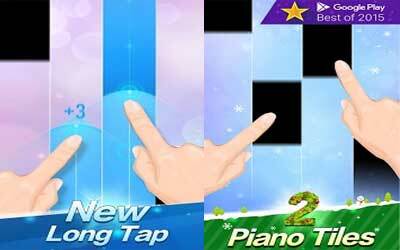 With the new levels that re available in Piano Tiles 2 for android, you can get higher experiences. enjoy the game more with improved functions. Update your experience now!